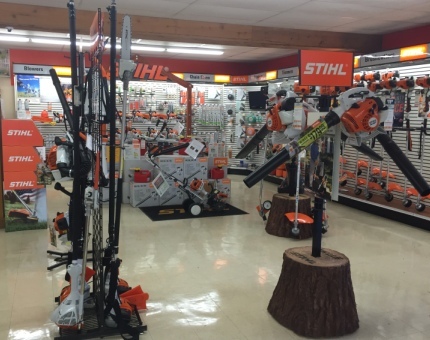 Stihl | Rucker Equipment Co.
Rucker Equipment Company is a Stihl Elite full-line dealer located in Palestine, Texas. Rucker Equipment stocks a wide variety of Stihl equipment and parts and maintains a certified Stihl technician on staff if you're in need of repairs. Call Rucker with questions about Stihl products at 903-729-6951. Stihl Product Selector; Click a few buttons and get a product recommendation. Click here to view Stihl specials available at Rucker Equipment Company. View the entire Stihl product line and learn more about Stihl products. How to replace the trimmer line on a Stihl trimmer.